Alps mountaineering zephyr 3 is the ultimate 3 person backpacking tent that you need to know about! This text block can be expanded. 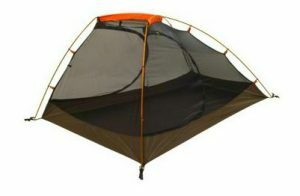 The great thing of zephyr 3 tent is so light and can still house three people. The tent has no-seem-um mesh built into the walls for maximum ventilation. This creates a great amount of circulation airflow, who ever inside will be completely cool and calm in hot climates.The Zephyr 3 is specifically designed for simple setup in rough climates. This tent is one of the biggest available considering the money you are actually spending on it. It is advertised that you could fit three people in it when in all actuality you can fit two people with extra room for a child. Three grown adults would be a stretch to day the least. The mesh walls provide great ventilation and the tent also has two vestibules and two entrances which is absolutely necessary so you don’t have to crawl all over to get in and out of the tent. As ever with the Mountaineering models these type of tents have full mesh walls offering maximum ventilation access. The aluminum poles ensure a lot space inside the tent. A person of 4 feet or higher should not really have to crouch down too much in this tent. The main feature that needs to be brought up apart from its size is the access that you have via the clipping method to set it up extraordinarily quickly. Alps zephyr 3’s floor and fly out covers are coated with PU-coated polyester meaning that no matter the weather conditions. It will stay absolutely dry and impenetrable to water. The zephyr 3 model also includes two additional stakes and guy lines. It’s nice that they also give you swatches for repairs which most companies don’t think to do. What type of camper is going to need a tent like alps zephyr 3 ? This is the ultimate family tent for 3-person 3-season. It is big enough to house a family and house of their equipment at the same time. It is also 6.2 pounds which is ridiculously light considering the size of the tent. Fast to set up, easily moved and lightweight. This tent is perfect for the family camp. You even have room to bring the dog! You have your standard ALPS color scheme working on this model. The outside walls of the tent are copper/rust colored and the trimmings and tent zippers and flaps have red-orange lining for accessibility and identification. The mesh is of course black and no-see along with the poles that are orange and can be easily identified as the clips come together. The tent is all mesh on the interior, air-flow is great can pass through easily and keep the entire tent cool and well ventilated. Ultra-lightweight for the tents size and housing ability. Vestibule access is also great because gear can be stored with complete ease. On the expensive size considering what else on the market. The mesh lining means that you have to watch the weather constantly; if it rains whilst the fly material is not connected the entire inside of the tent will be wet. If you leave the fly material up constantly, you lose the idea of having great ventilation in the first place so the idea really negates itself. >>> Click here for more customer reviews and purchase from Amazon.com! Ultimately alps zephyr 3 review says, it is a good tent. Its big and spacious. It does everything you need it to do. It is lightweight and can be set up with ease. It is not very complicated and has good storage facilities. Read more reviews on best 3 person tent here. The vestibules mean that the equipment you have does not have to occupy the same space that you are being housed in which is very, very good considering that over time camping gear can become, wet, soggy and very muddy! Thanks for reading Alps Mountaineering Zephyr 3 Review here!